These sensors measure the liquid level in a tank or drum without touching the liquid, so they won't be damaged by the fluid or contaminate it. 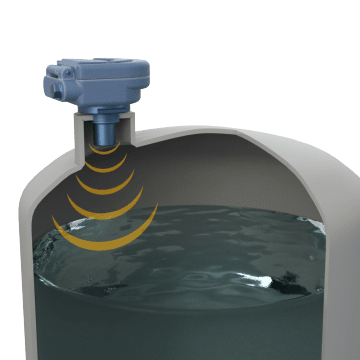 Best suited for measuring liquid levels in small- to medium-size tanks, these sensors are mounted to the top of the tank and measure the liquid level by emitting sound waves that bounce off the surface of the liquid. The sensors then transmit electronic signals to a receiver, controller, or display to communicate the liquid level measurement. Ultrasonic sensors are easy to use and install, but can be affected by dirt, wind, and temperature changes. Use these sensors for basic leveling monitoring for a variety of liquids, including chemicals, wastewater, and sticky materials. 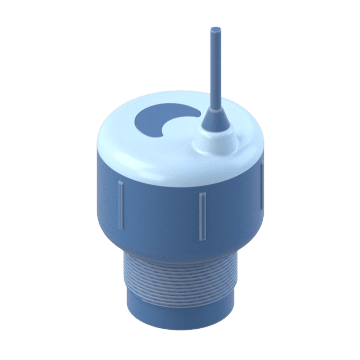 Wire these sensors to an alarm or pump, and when the sensor detects that the liquid level is too far from a set point, it can trigger a notification alarm and start a pump to get the level back to normal. Sensors include programmable relays, allowing you to configure multiple alarms and pumps to fit your application needs. 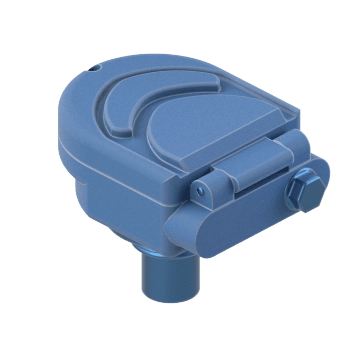 Commonly used with highly viscous, dirty, or corrosive liquids, these sensors are a good choice for sump tanks and pump lift stations.